Since 2013 I've been using F-HOT Slalom fins. 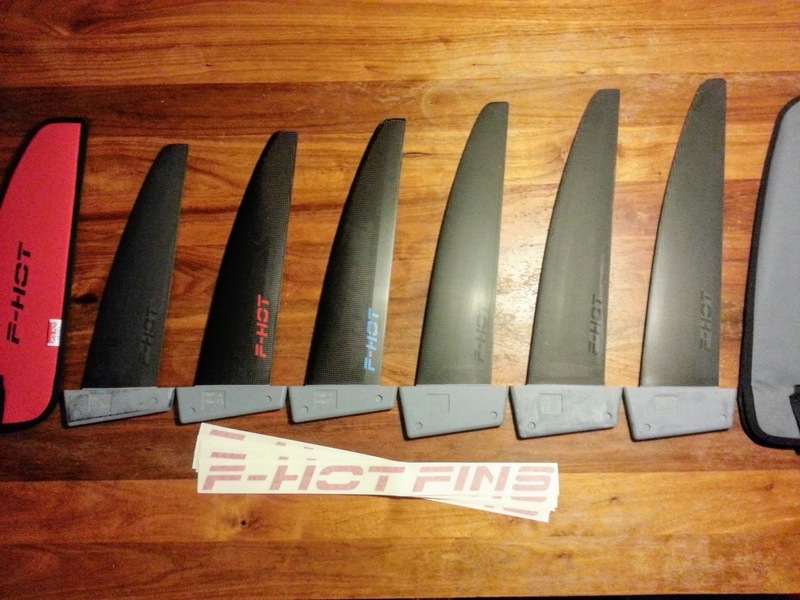 I was one of the early adopters and still happy with these top fins! In that year I compared them to several other Salom fins after I have been using the Choco Fireblades for several years. I wrote my review on fins some time ago. Based on that review I choose F-HOT. I now have them in several sizes, type S3, 36-48cm. I use them with my Fanatic Falcons. 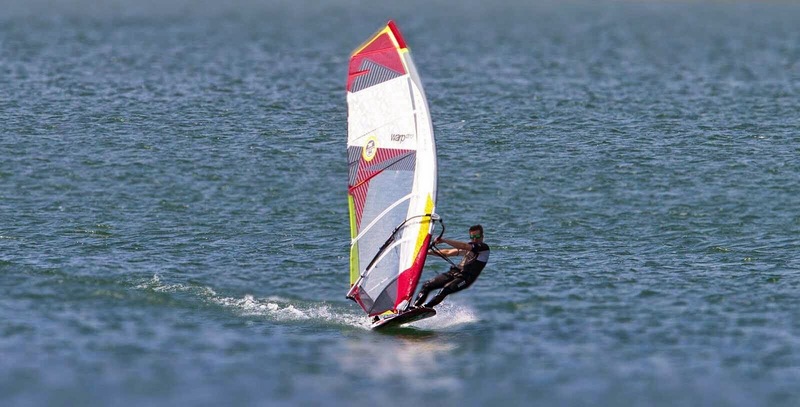 For the biggest board (130/138) my most used fin is the S3 46cm with the North Warp 9.0 combo. Ross Williams uses the F-HOT RS series that have been developed after the S series. More focussed on PWA conditions, downwind course, fully powered at the limit. What I hear is that the RS is more technical to sail but faster when you can handle them. With my weight (78kg/184cm) I use my set most often in well powered conditions, not on the high-end. The performance that the fins give me is more dependant on me than the fins. I feel that I did not get the max out of the fins yet and I expect more is possible. 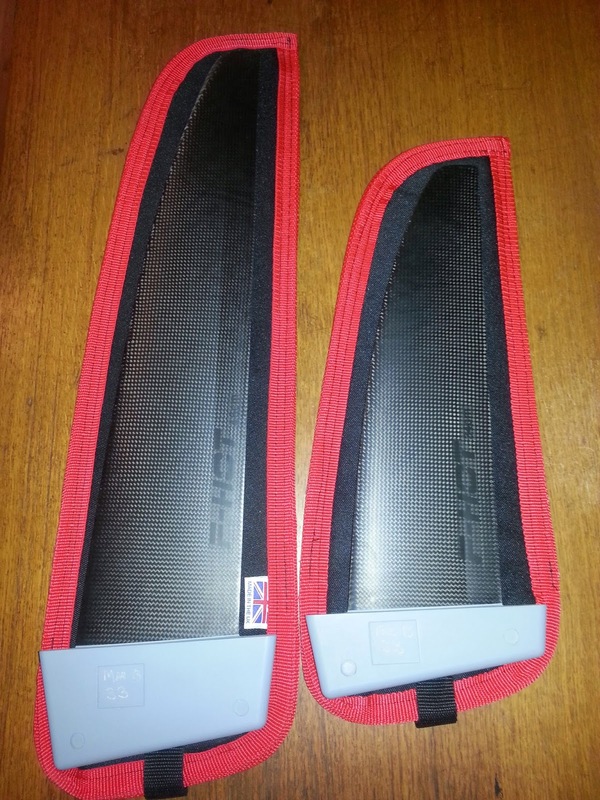 Also the support on the fins that Steve Cook gives is also remarkable, a real craftsman. I crashed one of my fins and Steve repaired this fin as new! 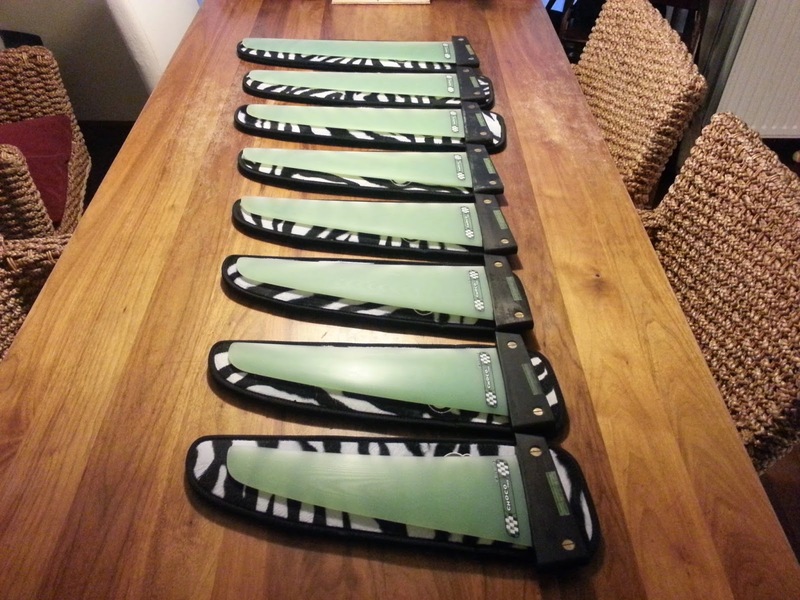 Please let me know if you have questions or need advice on what fin type/size for your set. Happy to help you.